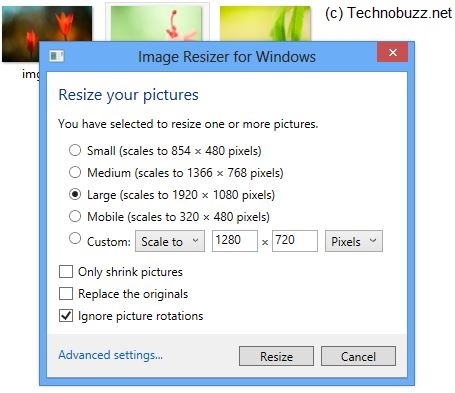 Looking for an app which helps you to Reszie images in windows 8. Well, you might want to give Image Resizer a try. This is a program which helps you to resize pictures right in Windows Explorer and you can resize pictures in bulk, no need to resize pictures one by one. Select the bulk of pictures and resize with a single click. This software is easiest to use and is user friendly. In addition to resizing images, it also compresses the image so the output covers less space. 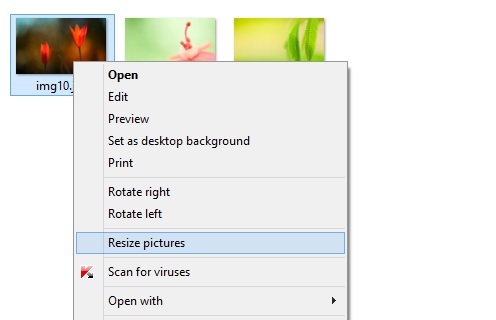 All you have to do is install the little app on your Windows 8 PC and then just simply right click the image and click on “Resize Pictures”. Imagine RESIZER allows you to resize, crop, zip and share multiple images fast and easy. 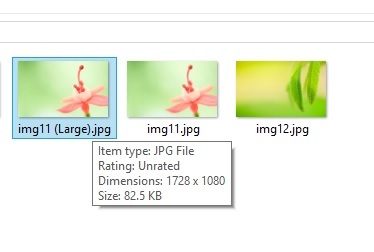 Just go tot he folder in which your images are stores and right click any image and you’ll see a new context menu option to ‘Resize pictures’. Now from this option you can choose various heights and widths given or define a custom width or height. With this way you can resize your pictures with one simple click. So once you’ve set all the options, click the Resize button. Now check out the folder where the file is, here you can see the new image with the same name, but with the type of resizing you did at the end of its name. Now open the pic and and see your new resized image. With this way you can select lots of pictures and resize them in a single click. The app is simple to use and one of the fastest and easiest way to resize images in bulk. We tested this app on our Windows 8 PC and it works like a charm.